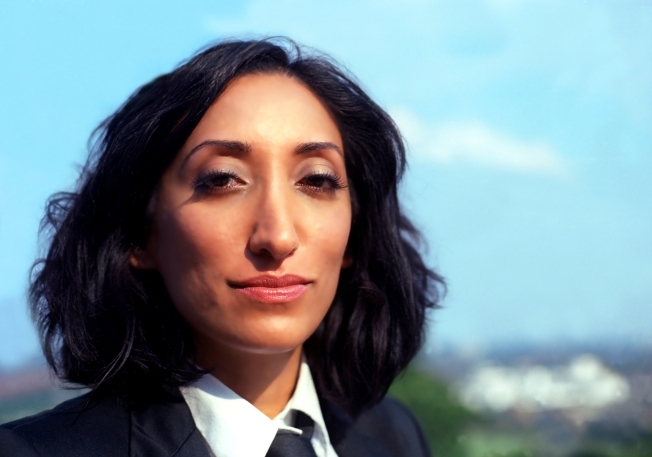 A handout picture released by Martin Twomey on February 20, 2016 shows British comedian Shazia Mirza posing for a portrait in London on June 25, 2012. Bay Area-based Indian-born comedians, Samson Koletkar and Abhay Nadkarni, will present The 3rd Annual Zee TV Desi Comedy Fest, an 11-day stand up comedy extravaganza taking place at comedy clubs and theaters in 9 cities throughout Northern California. Desi ("THEY-see") is a term for the cultures and products of the Indian subcontinent or South Asia and their diaspora, derived from the Ancient Sanskrit, meaning Land or Country. The Desi Comedy Fest comedians are stacking up trophies at various competitions including San Francisco International Comedy Competition, Boston Comedy Festival, and The MOTH StorySLAM.